Redistricting is the regular process of adjusting the lines of voting districts in accordance with population shifts. For many states, this means redrawing congressional and state legislative district lines every ten years following the decennial census. In the modern era of redistricting, all district lines must be reviewed after the census to meet strict requirements for population equality and voting rights protections. How does redistricting differ from reapportionment? Reapportionment is the process of reassigning congressional seats among the states after the Census. Once Census 2010 population counts were released, the number of representatives each state could send to Congress was determined. At that point, reapportionment was over and redistricting had begun! All states, even those that did not gain or lose districts, still must redraw district boundaries in order to match internal population shifts. The end goal? Equal numbers of people in every district, nationwide. Gerrymandering is the act of redrawing district lines to influence elections to favor a particular party, candidate, ethnic group. While the Voting Rights Act strongly protects against racial gerrymanders, manipulating the lines to favor a political party is common. In other cases, the parties work together to draw a plan that favors the incumbents of both parties. 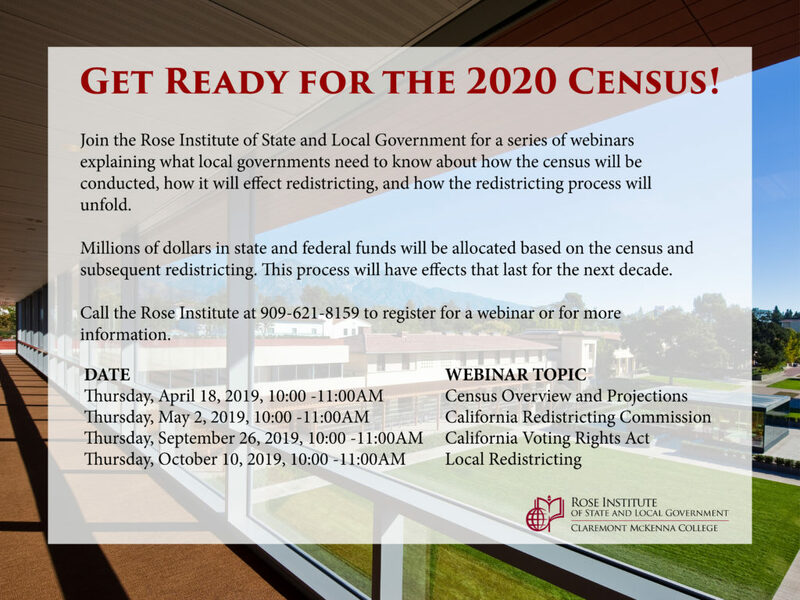 The Rose Institute has a long history of engaging with the redistricting process by creating maps, researching reforms, and analyzing demographic changes. Attached below are a few previous Rose Institute redistricting publications.